The Primary Election is Tuesday, June 5th – Polls are open from 7 a.m. – 9 p.m. Elections in Iowa are held on Tuesdays only. If you ever have questions about voting call your county auditor’s office or the Secretary of State’s Office at 1-888-SOS-VOTE. Early Voting is available through Monday, June 4th at your County Auditor’s office. Any absentee ballots must be postmarked by this date to be counted. For this year only, people who don’t bring identification to the polls on June 5 can still vote, but need to sign an oath verifying their identity. • Voters may wear a campaign button or clothing when they go to vote but must leave the polling place as soon as they are done voting. Campaigning or electioneering of any kind in a polling place is illegal; loitering in a polling place while wearing political items is considered electioneering. Employees of the county auditor’s office, precinct election officials, poll watchers, and observers at satellite voting locations are not allowed to wear political items while at the polling place. • A provisional ballot is used by voters whose qualifications to vote have been challenged, voters who can’t prove they are qualified to vote, and voters who requested absentee ballots but did not surrender them at the polls. If your name is not on the list of registered voters or if someone challenges your right to vote on Election Day, you have the right to cast a provisional ballot. You have the right to provide evidence showing why you are eligible to vote. You may provide evidence to the precinct election officials or to the county auditor’s office by the deadline listed on the provisional ballot envelope. The absentee and special voters’ precinct board will meet after Election Day to review your registration record and the information you provided. The board will then decide if your ballot can be counted. Before you leave the polls on Election Day, you will be given a written notice explaining your voting rights and listing the date on which the special ballot board will meet so you may be present to observe and present more information to the board. If your ballot is not counted, you will receive a letter in the mail explaining why it was not counted. • Credentialed reporters, photographers and other staff with the media may be present at the polls as long as they are not interfering with the election process in any way. Voters may not be interrupted, hindered, or opposed while trying to enter the polling place, while inside the enclosed voting space, or while marking a ballot. The media may photograph or film activity inside the polling place but cannot take any images of how a voter marks or has marked a ballot. A voter must give permission before being photographed or filmed. If the media wishes to speak to voters about how and why they voted, the media must be outside the polling place to do so. • If you make a mistake while voting your ballot at the polling place, tell a precinct election official. 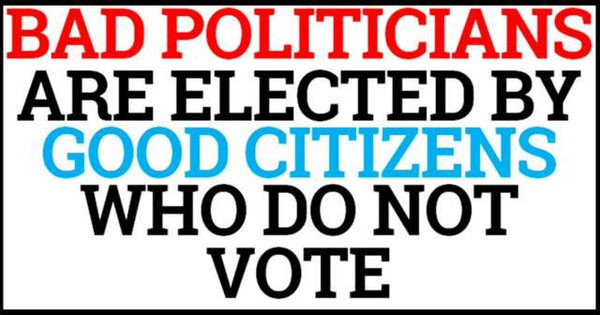 The official will take the ballot on which you’ve made the mistake and have you “spoil” it so it cannot be counted. You will then be given another ballot to vote. Voters may receive up to three ballots. Beginning January 1, 2019: Iowa voters will be required to show a driver’s license, non-driver’s ID, passport, military ID, veterans ID, or Voter ID Card at the polls before they vote. Voters without the necessary ID will be offered a provisional ballot and can provide ID up until the time of the county canvass of votes (Monday after Election Day for Primary and General Elections). Any registered voter who does not have valid driver’s license or non-operators ID issued by the Iowa Department of Transportation will be issued a Voter ID Card for free, automatically, in the mail. This also applies to anyone who registers to vote in the future. Upon receipt of the Voter ID Card in the mail, it should be immediately signed and placed in the voter’s purse or wallet, and taken with them to vote. Obtaining the Voter ID Card does not require any further documentation or action by the voter. Voters simply need to be registered, and take their new Voter ID Card to the polls when they vote.